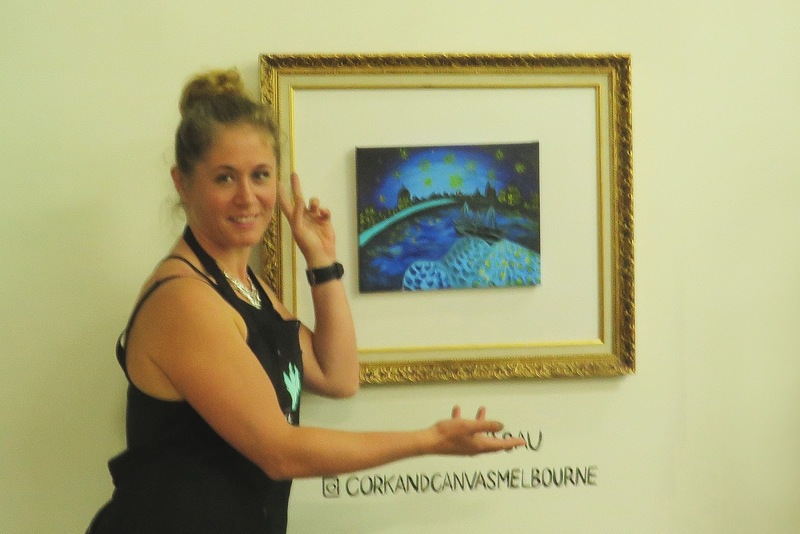 I went along to my first ever Cork and Canvas painting session, it was no ordinary session, it was the opening of their brand new South Melbourne location. 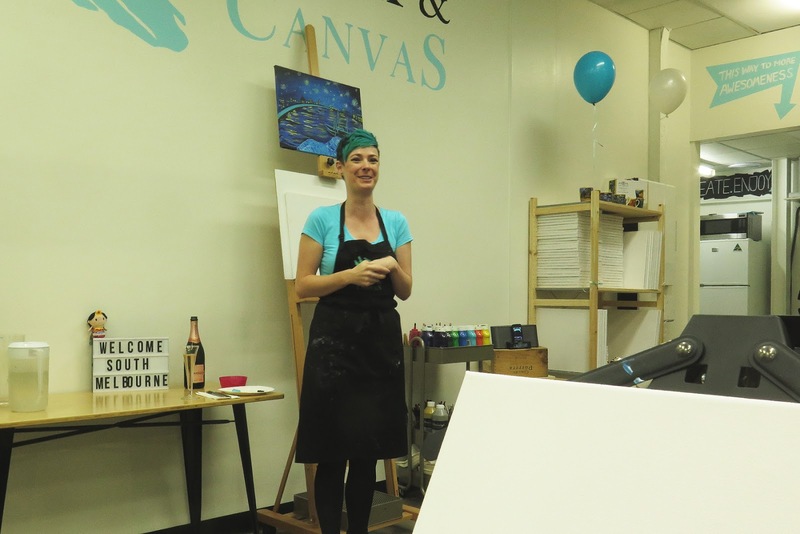 The artists at Cork and Canvas host painting sessions daily where those attending get taken through the step-by-step process on how to create a painting inspired by a theme. They guide you along the way, providing advice on painting techniques, use of colour, and also how you can make the painting your own by putting your own creative flare to it. What I love about the painting sessions is that you don't need to be the next Picasso to have fun and to enjoy the creative process. Even for artists like myself I thoroughly enjoyed being able to take a non-artist friend along to share the experience of creating something in a supportive and fun environment. I really enjoyed seeing how everyone else in the room interpreted the theme. We were creating a small acrylic painting inspired by Van Gogh's Starry Night Over the Rhône, which is currently on display at the NGV as part of the Van Gogh and the Seasons exhibition. Some people included a space needle as part of the cityscape, whilst others had a ferris wheel. There were different styles of painting, with some using bolder and blocker strokes, whilst others were more delicate. There was no right or wrong, it was about the process of creating something. 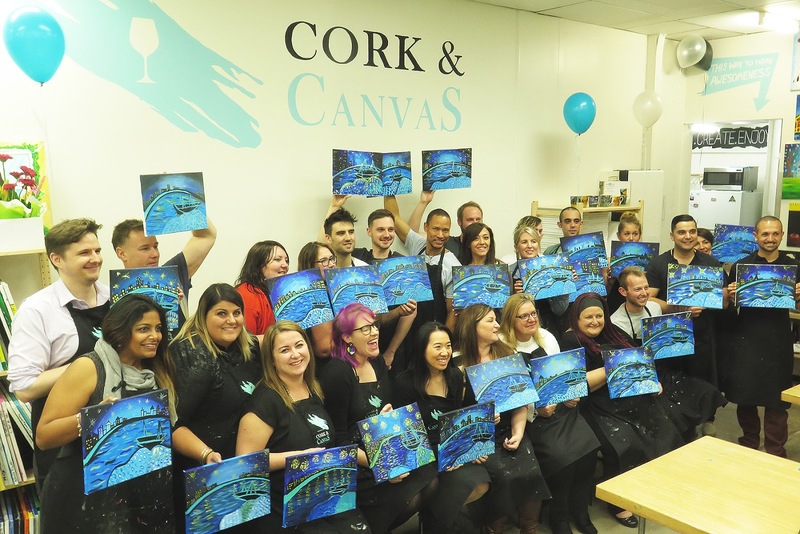 Cork and Canvas is located in South Melbourne and Moonee Ponds, they also host private events for parties, corporate team building, and hens parties. Beautiful concept. Painting is such a beautiful activity and to me it's such a stress reliever. Lovely. The entire space looks pretty cool too.